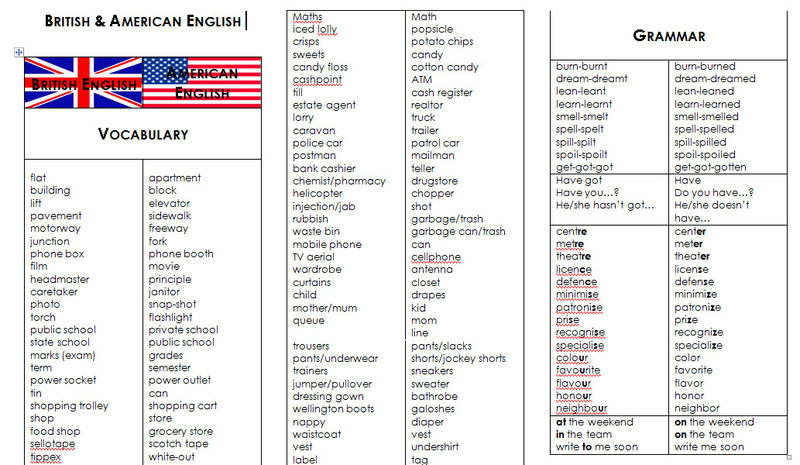 This worksheet is a 2 column box with some British vocabulary their American equivalents. 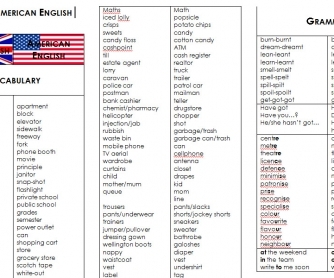 It also covers some grammatic differences between English in UK and US. The material is taken from Video Lesson 52 by Misterduncan.